The AS GOOD AS IT GETS breakfast - our namesake! 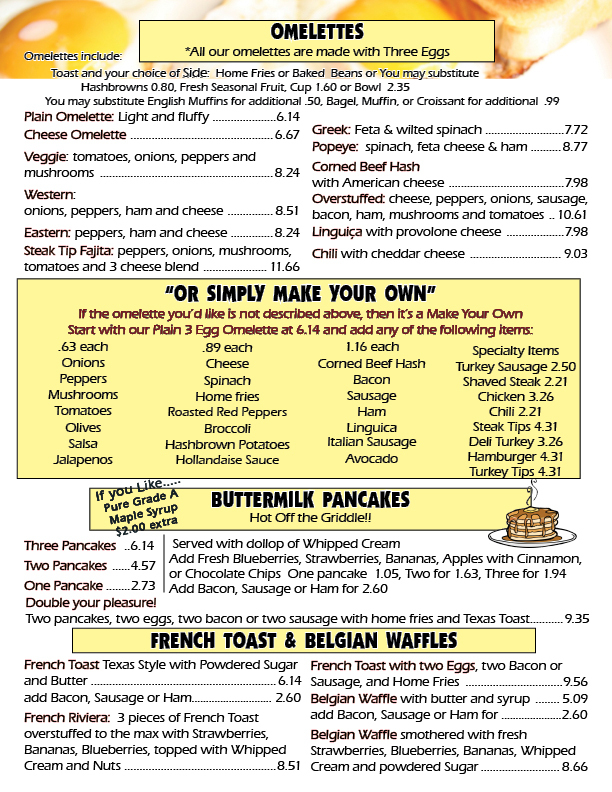 Enter for a chance to win a FREE BREAKFAST ($7.95 value)! Well...if you didn't see it, you may have heard that the Phantom Gourmet paid us a visit and we are grateful and excited that we received rave reviews and A+ ratings. 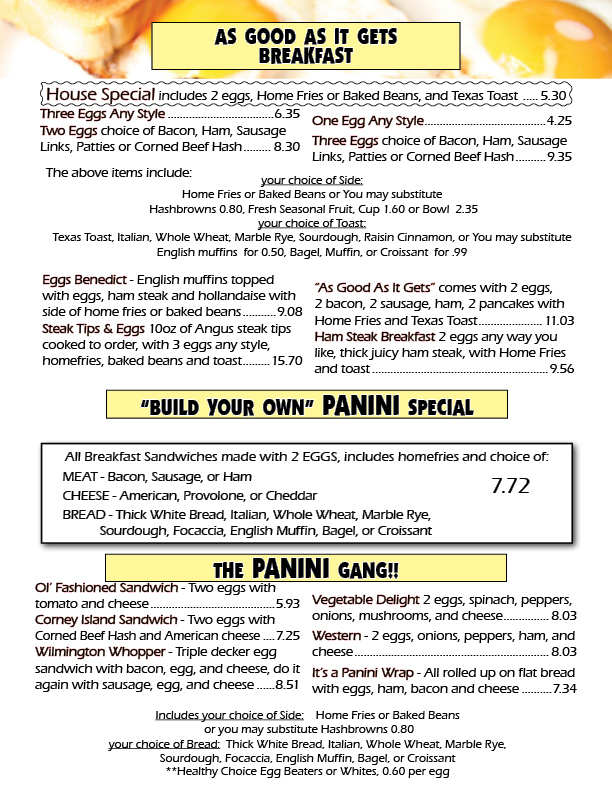 We were named one of their "Great 8" Restaurants for Breakfast & Lunch! We are aware that our customers make our success possible, so in return, we want to acknowledge your continued support and patronage - you are the best! You are As Good As It Gets!!! 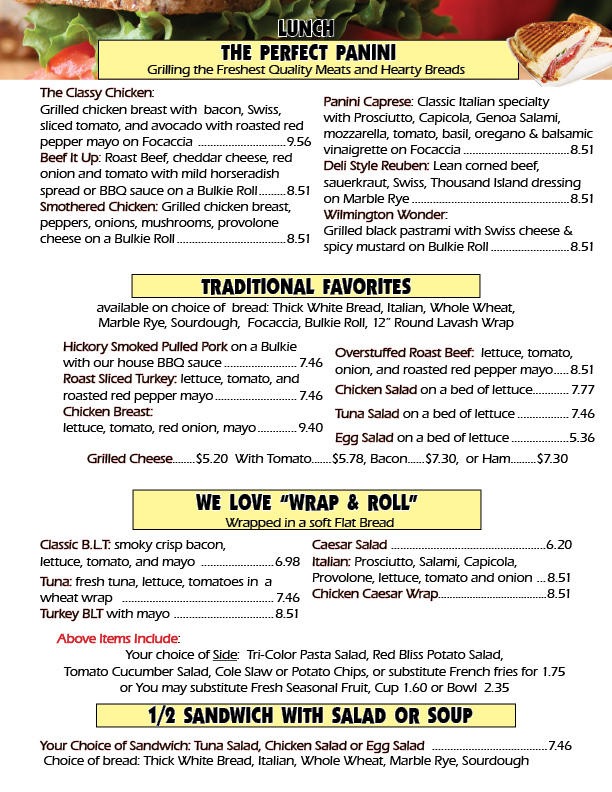 Our cafe is situated at 35 Lowell Street, Wilmington, MA (Colonial Park Mall). 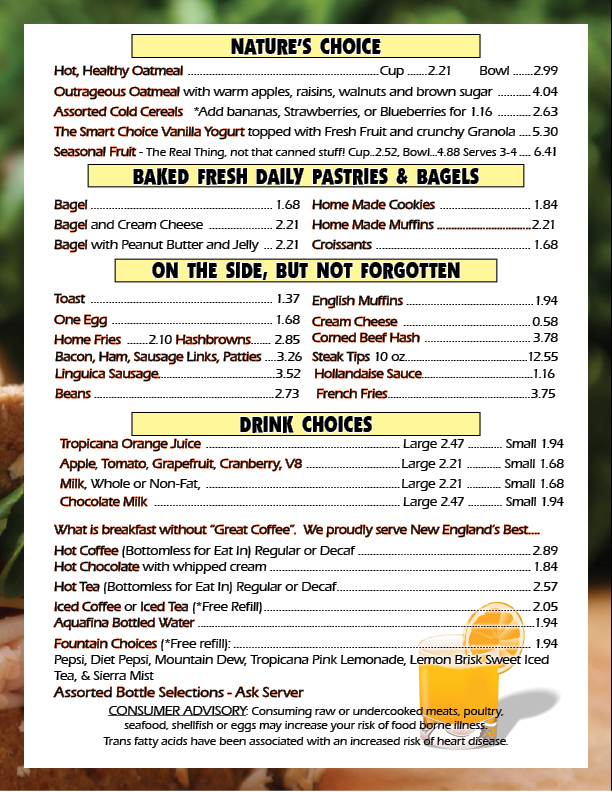 We serve Breakfast ALL Day - Every Day. Eat in or Takeout. Everyday tableside service - Sit, Relax. It is our pleasure to serve you! 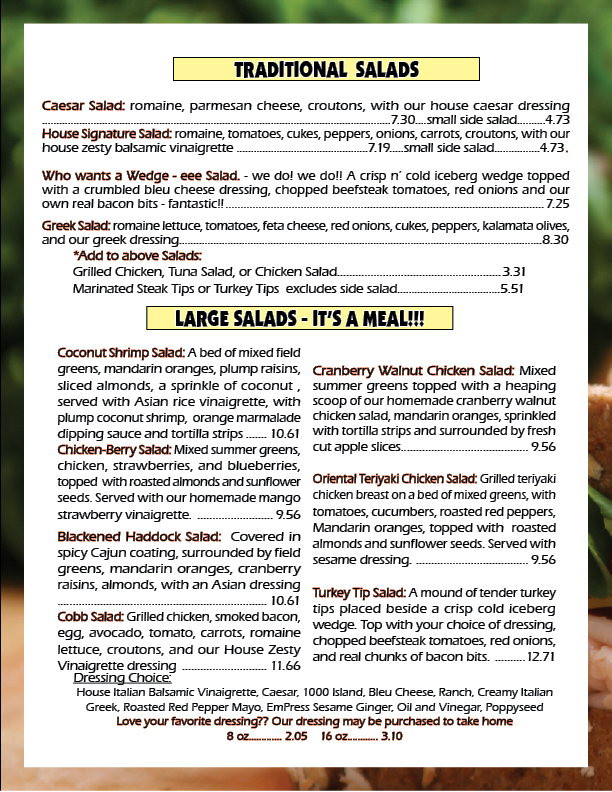 Lunch Features Traditional Favorites as well as affordable and unique selections, available for eat in or takeout. Our web site is being updated with all our latest happenings so us out and watch for new announcements! 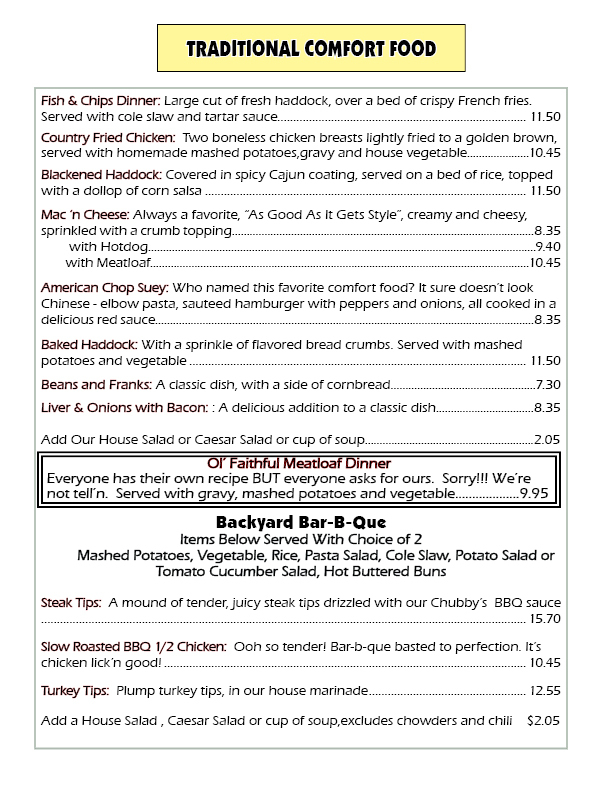 Stop in, introduce yourself, check us out - we welcome all suggestions. "WOW, IT WAS AS GOOD AS IT GETS!!" 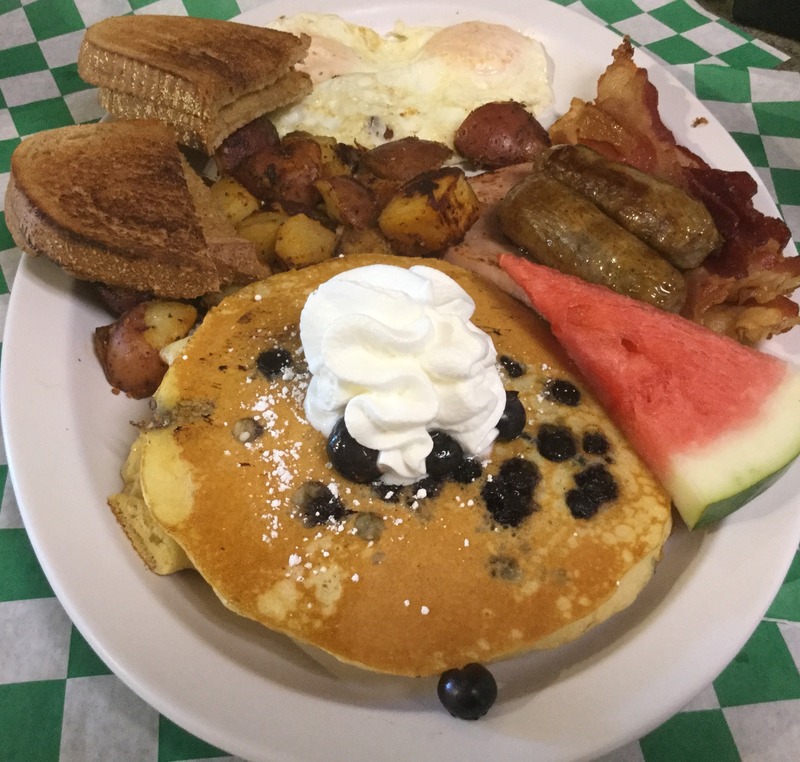 Breakfast features traditional home-style favorites, done with a flair as well as breakfast paninis, hot off the griddle pancakes, waffles, assorted pastries and the best cup of coffee to start your engine!! 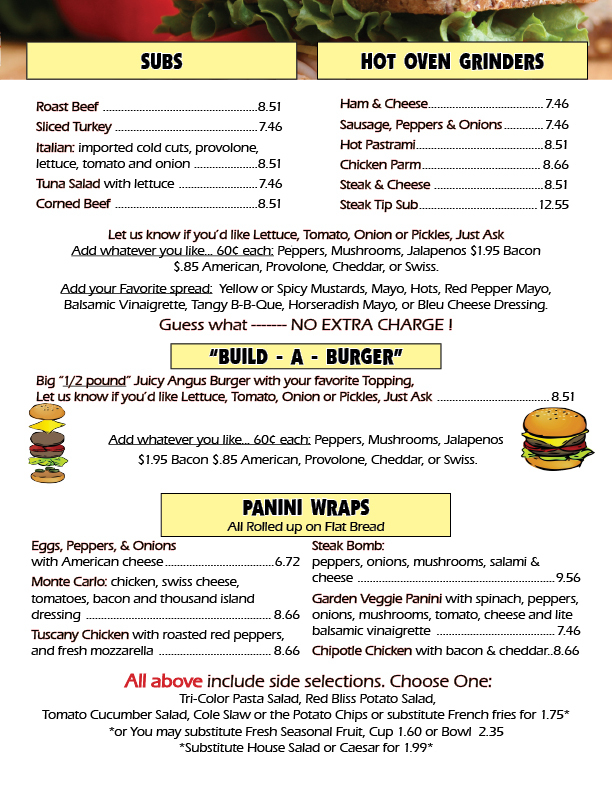 Lunch includes Jumbo sandwiches on specialty breads, paninis, variety of burgers and subs, "Wraps & Rolls", home-made soups, crispy salads, hot daily specials and much much more. Download Printable Main Menu (PDF).